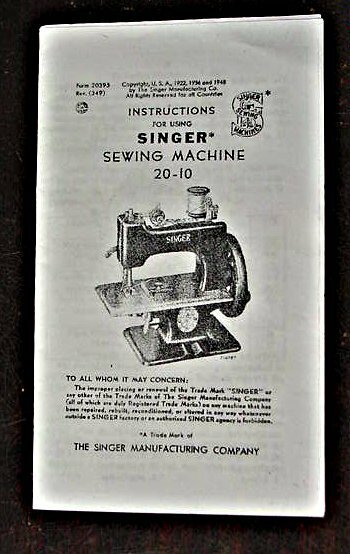 These instructions (photocopy) are for a Singer Model 20-10 - 7 Spoke - manufactured from 1948 thru 1957. The machine is aluminum, a rectangular base and 7 spokes in the wheel. They were made in black, tan, tan/brown and 3 colors (red, blue & green).